Two years ago me and my man bought an old van, made it into our contemporary home and traveled across Finland and up to the Arctic Ocean with our two dogs. I have lots of photos from our trip – and I may come back to this – but one is my favourite. It was taken on a very small island somewhere near Alta where there were no people, just a herd of reindeers and us. 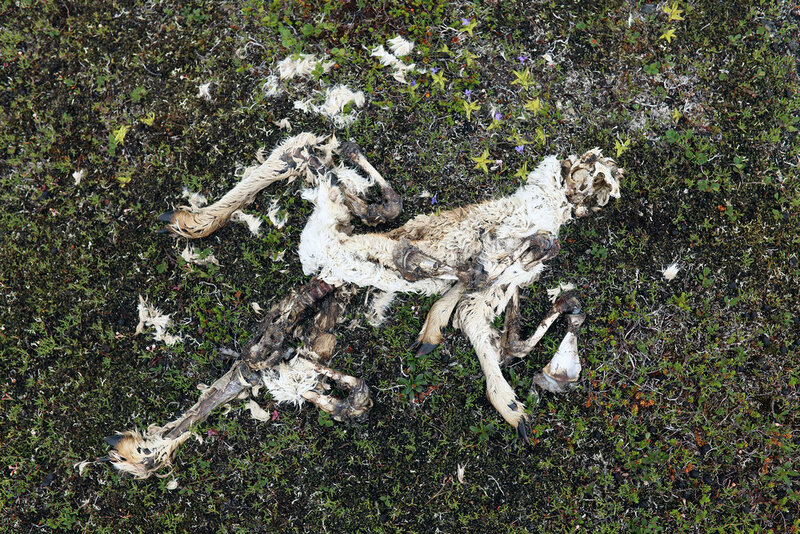 I took the photo but by man spotted it first; remains of a little reindeer calf resting on a bed of moss and flora.